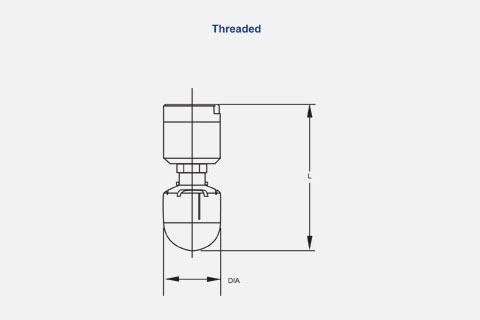 The Butterworth Type UBC rotating spray head projects sheets of water on a variety of spray patterns, using low volumes of water with considerably higher fluid impact values when compared to conventional static spray balls. 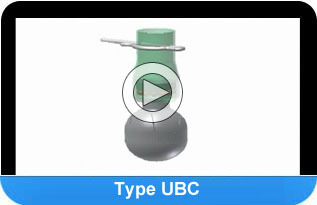 The Type UBC device can be used in hygienic and non-hygienic applications. The device is 100% self-rinsing. 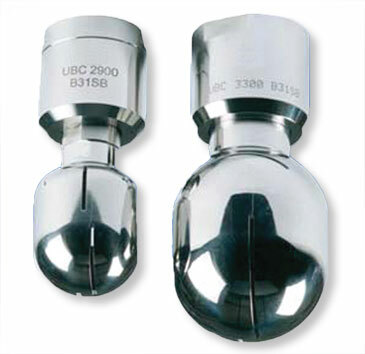 A variety of connection types are available and typically are installed permanently in a given tank or vessel. The Type UBC device can also be used on a portable basis when desired. The flow of fluid through the Type UBC device will cause the projections of fluid through the fluid slots of the unit. This flow of fluid is at a slight angle to the radius of the ball and causes a transitional reaction. This reaction sets the ball in rotation. 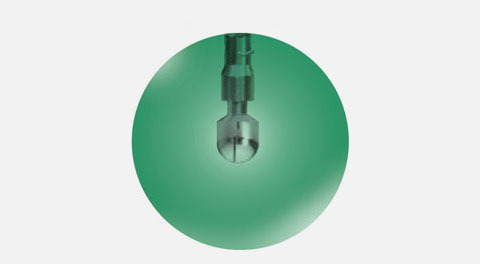 Rotation speed of the ball is relative to the fluid pressure exerted at the inlet of the device.